Many books and movies have been created by telling the story of my brother, Muhammad Ali. 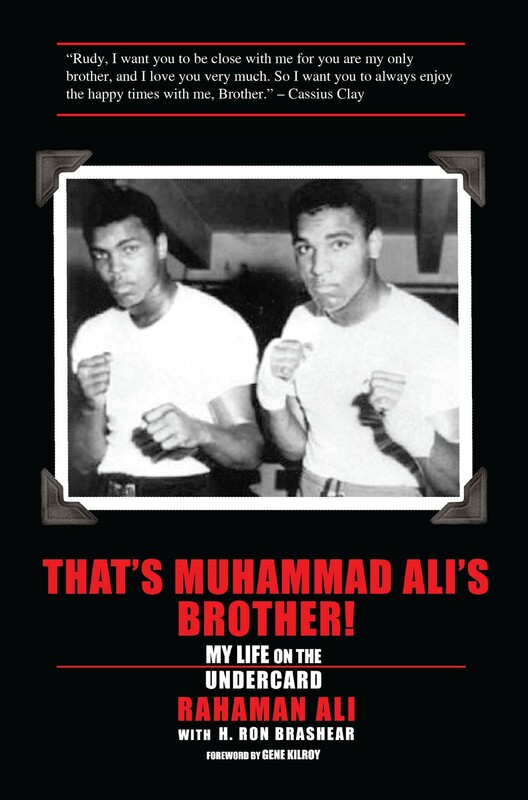 However, before I am called home, I want to share some of my life stories and memories with this book so people can learn more about my family, my brother, and me through the eyes of a member of the Clay/Ali family. I was there from the beginning and witnessed first-hand how our family’s lives were changed as ‘The Greatest of all Time’ emerged from being a fun-loving kid on the streets of Louisville, Kentucky, to becoming an icon recognized around the world. The memories I share in this book are ones that I will treasure forever. Living through these experiences helped shape my life and made me the man I am today. I can say for a fact that no other man took as many punches from the champ as I did as a result of the training and sparring sessions that we had over the years together. It is my hope that after reading my story and accounts of key events in my family’s life, you will walk away with an even greater appreciation of the Clay/Ali family name, history and legacy. I encourage you to treasure each day and strive for your own personal greatness.